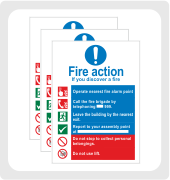 Comply with current Fire Safety Legislation and ensure all employees and visitors know what to do, in the event of a fire/ emergency, with our range of Fire Safety Signs. 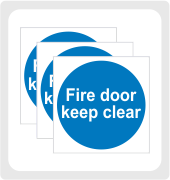 Provide clear instructions on what actions should be taken in the event of a fire, with our selection of Fire Action Signs. Mark the location of different fire fighting equipment with Fire Equipment and Fire Extinguisher ID Signs. Clearly identify where your fire assembly/ refuge points are located, with our range of Fire Assembly Point/ Fire Refuge Signs. 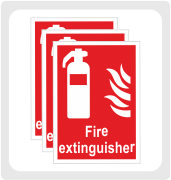 All of our Fire Safety Signs are available in a range of different materials and sizes.